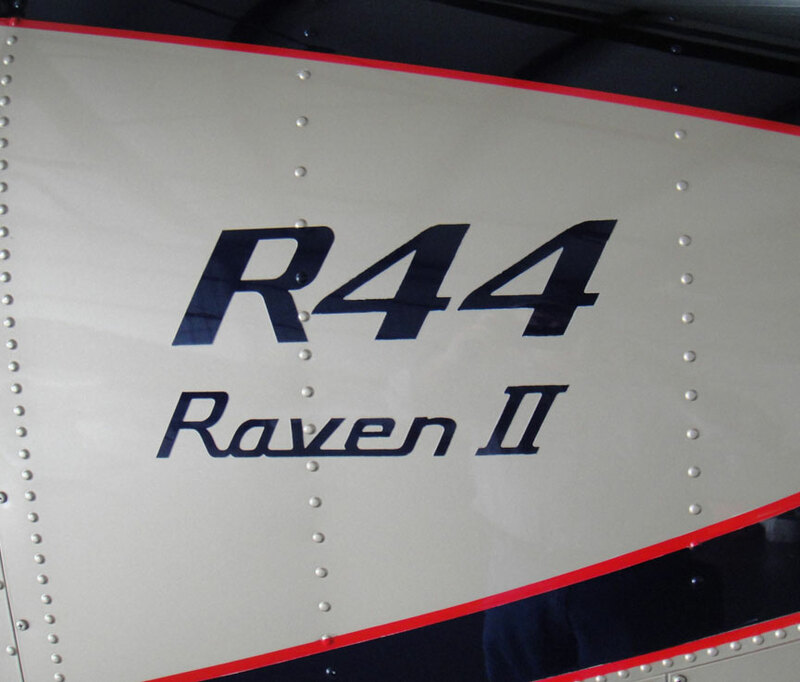 The Robinson R44, (Raven II) helicopter is a small, piston engine powered machine. Yesterday was my first time at the controls. 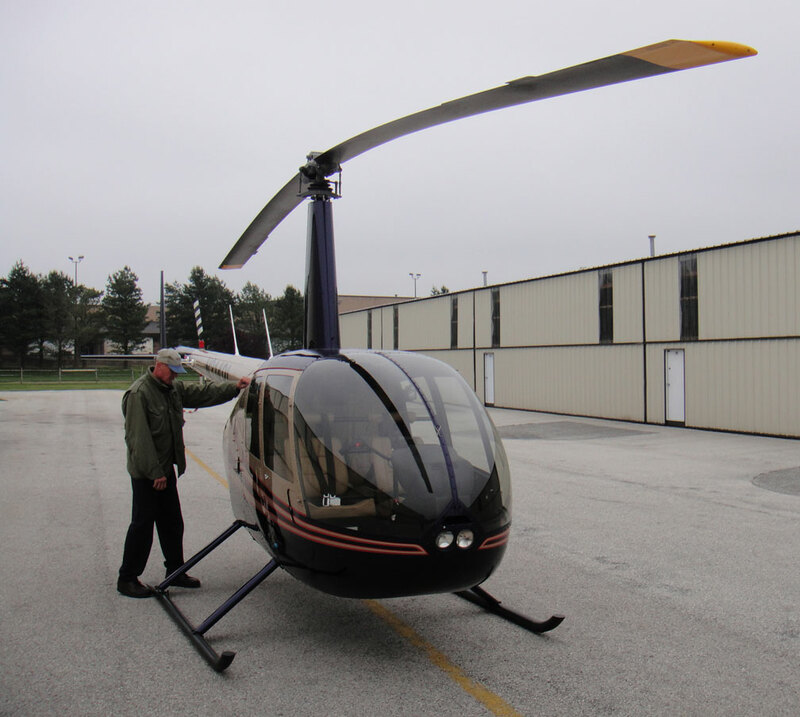 I’ll say this much, flying a helicopter is completely different than flying an airplane. Of course! Well, helicopters are not inherently stable, which means you have to maintain control at all times. The venerable Cessna 172 that I wing around in, will practically fly itself. Anyway, the fellow at my local airport offered to give me an introduction to helicopter flying and I literally jumped at the chance. Here he is conducting the preflight inspection of the ship. For this flight, I took to the right seat; he was on the left. We hovered out over the taxiway to a grassy spot where we conducted some fundamental maneuvers. Very tricky indeed. The thing to remember is that the craft is literally floating so any small touch of input or wind and it moves. Keeping it in position requires a delicate, yet assertive touch. 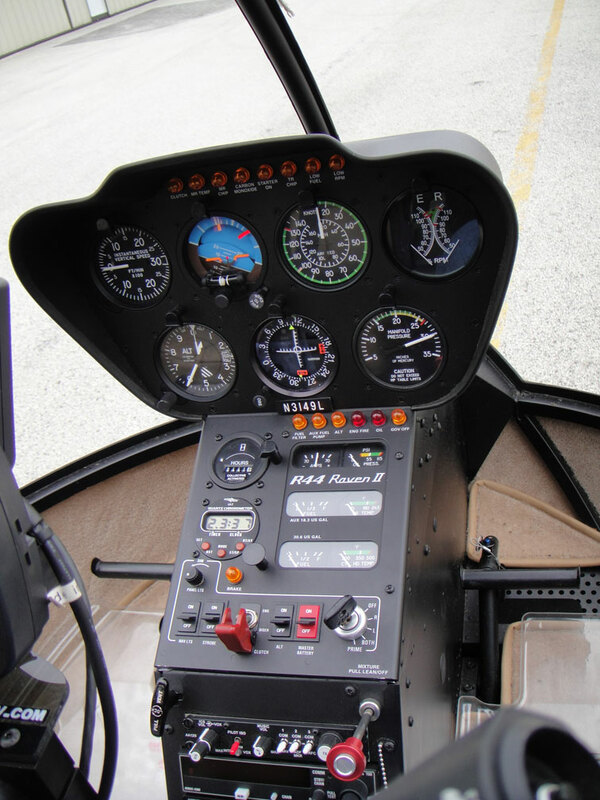 Take a look at the instrument panel. That basic panel does the trick. An altimeter, a couple of gyros, some radios, a GPS unit. You’re good to go. Remember, every bit of weight requires lots more power. Therefore, helicopters keep things as simple and light as possible. I would have taken some photos from the air, but both hands are constantly busy on the controls. No matter. I’ll be up again soon and snap a few with the other fellow in command.